The story begins in 1958 when Arnie and Doris Hagen built Hagen’s Square Dance Barn also known as Hagen’s Barn or just “The Barn”. Even though it has been called the Barn it has never been a barn. The Hagens built the facility for dancing. After learning to square dance, they realized there was a need for a local facility designed for square dancing and special events. People were just dancing in basements or at churches before that. Arnie became a Square Dance Caller and Instructor and over his lifetime taught many dancers and callers in the area. In 1991 Dave Serfling was hired to DJ at Ted Moore’s 50th birthday party at Hagen’s Barn. Arnie offered to rent the hall, to Dave, for his classes and dances. It didn’t work at the time but in a few years Dave was renting the hall two Friday nights a month for dances and every Tuesday night for Dance Lessons. Dave Serfling had been teaching Ballroom, Country, Swing and Line Dancing since 1988 to thousands of people all over the Puget Sound Area, including Seattle and many of the Parks Departments and colleges from Enumclaw to Bellingham. He always dreamed of owning his own nightclub or dance club facility, even before he learned to Ballroom and Country Dance. He also performs at Wedding receptions, Birthday and Company parties as the DJ and MC and gives dance lessons to the guests as part of the event’s entertainment. 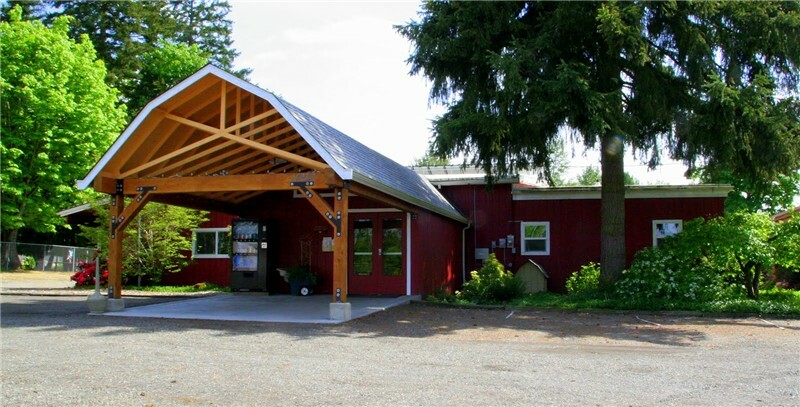 Since p urchasing the Barn, Dave has enjoyed making many improvements to update the Barn and rental property to make it a Northwest premier dance venue. The Barn has one of the largest hardwood dance floors in the area with 4,000 square feet, plus a seating area that holds about 150 people. The Barn capacity is 400 people with a large parking lot. The classes and dances are non smoking and non alcohol. Here are some of the many locations and organizations where Dave Serfling has taught dance classes since starting in 1988.